A few years ago, my wife, Jana, and I moved to the Czech Republic to be closer to her family. I immediately fell in love with the country’s rich and storied medieval history. And its position at the center of Europe made it the perfect base from which to explore. But it quickly became clear that I would need a better income if we were going to stay here and build our dream house. In my previous job, as a marketing manager for an electronics company, I found I spent more time correcting mistakes in company documents than I did on actual marketing activities. It struck me that I’d been subconsciously honing my proofreading skills throughout my entire working life. Something that came naturally to me was an in-demand skill in a country where English was not the first language. 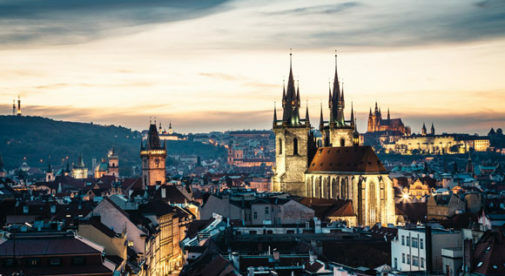 Not knowing where to start, I used a popular Czech search engine to pull up a list of translation agencies in the Czech Republic offering translations into English. I found hundreds of agencies and self-employed translators who needed reliable proofreaders. I knew that if I could establish contact with just a small fraction of these, I would be on my way to building a successful business. My hunch paid off and 25% of the companies I emailed responded with work. Within a week I had five agencies sending me documents to check and correct. After six months, I was making $1,500 a month from proofreading; $500 more than my day job. Three months later, I quit to go full-time. Through regular emails and client referrals, I eventually doubled my portfolio and income. This was more than enough to live comfortably in the Czech Republic where the cost of living is low, and the average salary is about $1,000 per month. Most agencies will pay around 25% of the price of a translated document to a proofreader. Agencies charge about $75 for the translation of a five-page standard business document. So proofing the same document—which takes about an hour— pays out about $18 to $20. Your willingness to take on assignments will determine how much money you make. Some proofreaders work full-time, some part-time, and some round-the-clock. My average working week is usually about 20 to 30 hours. Today, I run my proofreading business side-by-side with my wife’s translation business from the home we built in the town of Jihlava, about 75 miles outside of Prague. And we can work from anywhere in the world where there is an internet connection. No longer restricted by set vacation times, I can visit family back home for weeks or even months at a time. Some years when there’s a particularly cold winter, we book a beach vacation abroad, working a few hours in the morning and taking the rest of the day off. Somedays we simply choose not to work at all.